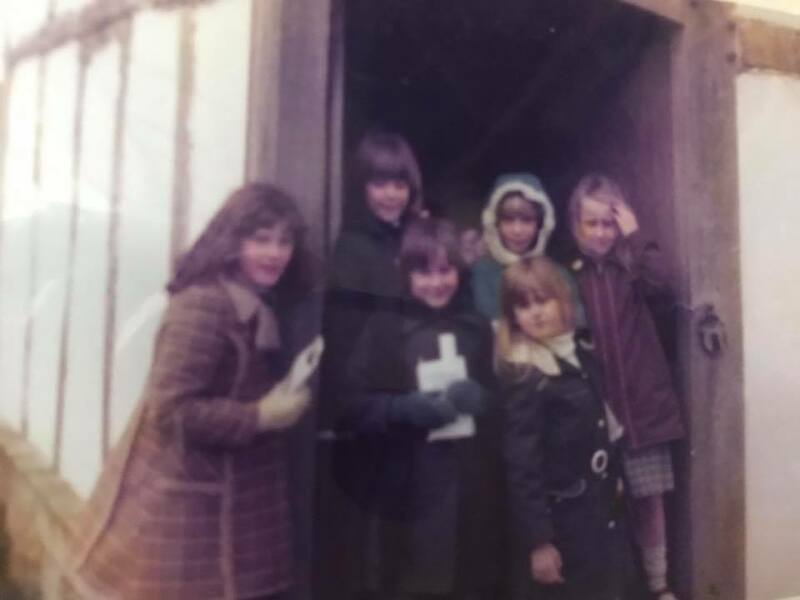 Back in the 1970s I went on a school trip to the Avoncroft Museum. I enjoyed it so much it stayed with me and I still have the bookmark I bought on the trip 40 years ago. I had always been interested in the way buildings looked and I remember all my lessons about wattle and daub and other exciting concepts that were the lead up to the trip. I'm still incredibly interested now in building structures and design and will even admit to you that I find the buildings the most interesting part of a visit somewhere. I should have been an architect. So with that background I decided to take Cog for a visit towards the end of her summer holiday. The buildings there have all come from somewhere else, piece by piece, to be preserved. Each building has a story. "All of Avoncroft’s buildings were threatened with demolition or neglect. In moving them to the Avoncroft Museum grounds, every effort has been made to retain as much of the original structure as possible." Even the lovely Edwardian tearoom. Tea and cake is the perfect start to any visit for me. There is also a cracking kiddies playground. But I was there for the buildings. and beautiful in their own way! Nothing like a bit of sharing to bring a community together, whether in Church or on a 'throne'! And the amazing post stump windmill. There are only a handful of these in the country and one is very close to me. But it is not in this condition. The man showing people around this one grew up in the same place as me and despite living within a stones throw of our local one had never been to it. I spent far too long talking to him about them. They are rather clever how they work you know! Cog and I also had a go at archery whilst we were there. She did archery properly for years, she just got on with it, I on the other hand was rather stupid at the start but got rather good at the end - she obviously got her skill from me, I just didn't know it!! But back to the buildings. The museum covers quite a lot of ground to walk around. I remembered the medieval town house, I remembered a fire inside it and the lovely woody smoke smell. and as we walked up to the door, telling Cog about the fire I had seen inside, the same smell of smoke came drifting from it. It was still there! With living history actors in costume telling us about their daily lives but also out of character talking about the building, where it came from, and we had a rather extended conversation about wattle and daub that even Cog got interested in!! Other buildings, like the Toll gate, had living history characters in. There is a building of some sort tucked away in every corner. The prefab is just marvellous to look at, so much of my Grandparents house was in there, I looked and looked, and talked on and on to Cog about it until even she could listen no more and wandered off to sit in an Anderson shelter. I mean, who doesn't remember Izal super-slip at school?! Useless as loo roll, perfect as tracing paper. My Grandma's kitchen right just there. Cog gave up on the Anderson and went climbing until I stopped reminiscing. "In 1994 the Museum acquired the National Telephone Kiosk Collection, it contains 32 telephone kiosks, including every type used from 1912 to the present day, which shows the history of the public telephone service in the UK. There are also two mobile exchanges and a stationary telephone exchange from the twentieth and early twenty-first century." You can ring them and talk to each other from different phone boxes which is entertaining but some of the later phone boxes are really interesting, like the internet ones. The money that must have gone into developing them and the smart phone will have flattened that technology dead in the water. The road side assistance boxes were fun too, I've never actually opened one, although being life long AA members as a family we always had a box key which I thought was very special when I was young. Finally I got to have a go. I had as much fun on this visit as I did 40 years ago and my memento this time was a brick, looking slightly muddy now as I keep it in the garden with all my special stones, shells and beach picks that I bring back from fun times. I really recommend you go and have a gander at the Avoncroft museum near Bromsgrove. It is a totally different sort of museum. It's not 'bigged up' like the Black County museum or Ironbridge, It is raw, it's simple and it is about the buildings. I like it.